With the advancements in video technology it seems like home videos have risen to a whole new level. Not only are people obsessed with taking selfies, they also have the ability to create videos from most electronic devices. Cell phones, some tablets and many cameras now offer video capabilities. CD and DVD burning software provides a way to edit these videos and create memories that can then be burned onto a DVD. Add music capabilities and photo editing, and this software serves many purposes. We have selected the best CD DVD Burning software that will provide easy to follow instructions, allowing you to convert your important memories into CD’s and DVDs that will last for years to come. The Roxio-RCRNXT2ENMBAM-Creator-NXT-2 software allows users to create DVD’s, edit home videos, and enhance photographs. The software is able to convert videos that are taken with your iPad or iPhone, Kindle or other android devices or smartphones and convert them into edited, clean versions that make for better sharing. 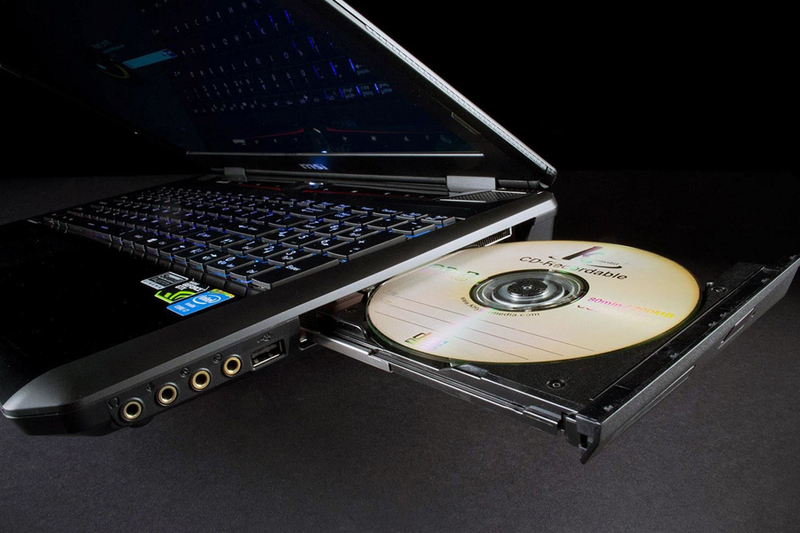 The Roxio-RCRNXT2ENMBAM-Creator-NXT-2 software can burn CD’s, music, DVD’s and even Blu-ray disks. It provides speeds up to 10X faster than most video conversions. 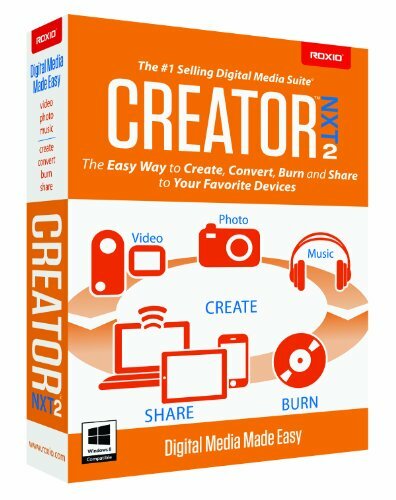 This software takes care of all your editing and sharing needs for your digital media. This allows you to preserve files, data and images that are important to you. Included with the software are instruction guides and video tutorials. Learn how to maximize the use of this software with step by step guides. Instructions are also printable for those who like to view the information that way. The Nero 2015 Platinum software makes it easy to get started burning Blu-ray disks, DVD’s or CD’s with one click conversions. Copy files, burn movies, edit content, create videos, edit photographs, convert data, and manage your media. You can also upload data to the cloud, smartphones, or other mobile devices. 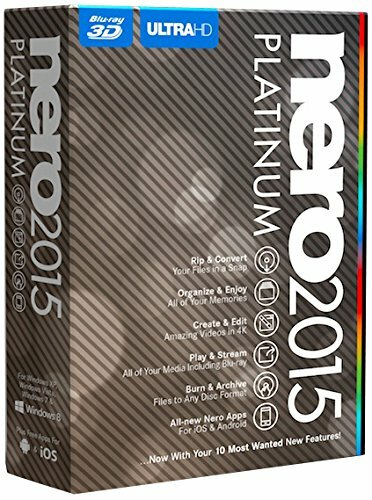 The Nero 2015 Platinum provides great support and includes tutorials, applications and all needed tools to learn how to manipulate data and edit videos to create amazing home movies, burn music and other creative content. The software is also able to restore data that is found on scratched CD’s or recover accidentally deleted files. The Nero 2015 Platinum software is compatible with Windows XP, Vista, Windows 7 and 8. The Easy-CD-DVD-Burning software by Roxio provides safe DVD and CD burning. It also provides safer computer back-ups, to preserve the important information that is saved on your computer. It is easy to organize your data, edit photos and videos, burn music, and play back your work. The software provides drag and drop tools that make it easy to copy CD’s and DVD’s. The Easy-Cd-DVD-Burning software is compatible with Windows Vista, 7 and 8. This software allows you to convert LPs and even cassettes to high quality CD’s. It also provides an easy way to add special effects to both music and videos. This feature can create fun mixes with the music. Photo sharing provides basic editing features before preserving them through burning the photos on a CD. You can import videos from other devices to your PC, edit them and then burn them onto a DVD.